By Alkit Ltd. of Cambridge Circus London. Small size measuring approximately 54.5cm (63/4). 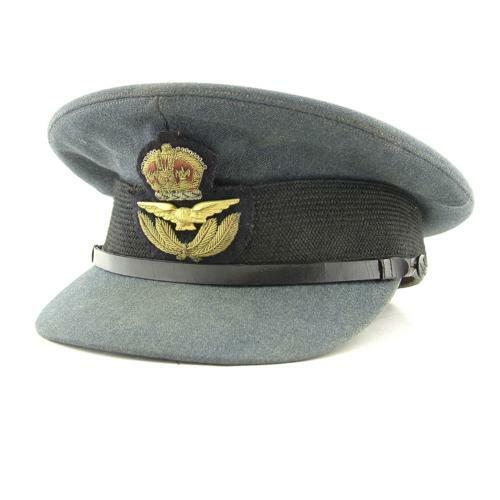 Standard officer rank peaked cap. The cloth is a bit soiled and faded but generally very good and without moth damage. Good chinstrap, mohair band and badge, the former with small split where attached (not visible in normal use). Tan satin lining with greasecloth crown. This is torn at the centre revealing the manufacturer's logo. Good inner leather band. A very good cap. Stock code U22636.